Topple your rivals with the latest weapon to drop into Battle Royale, the Drum Gun. Need to clear the room? 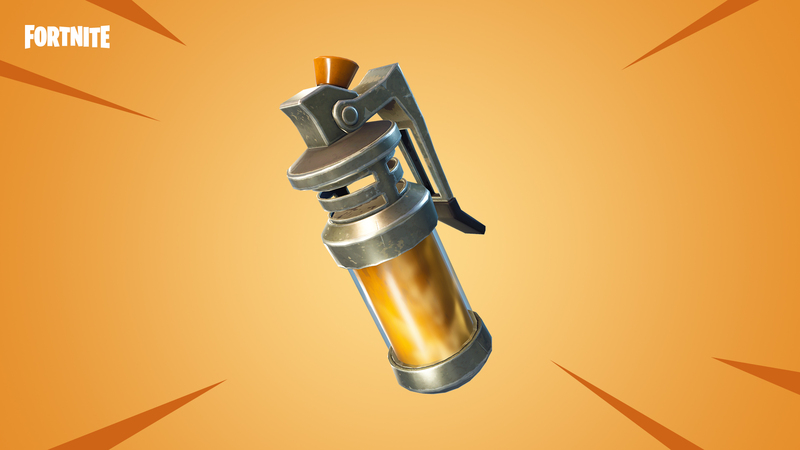 Throw a stink bomb, now in Save the World. 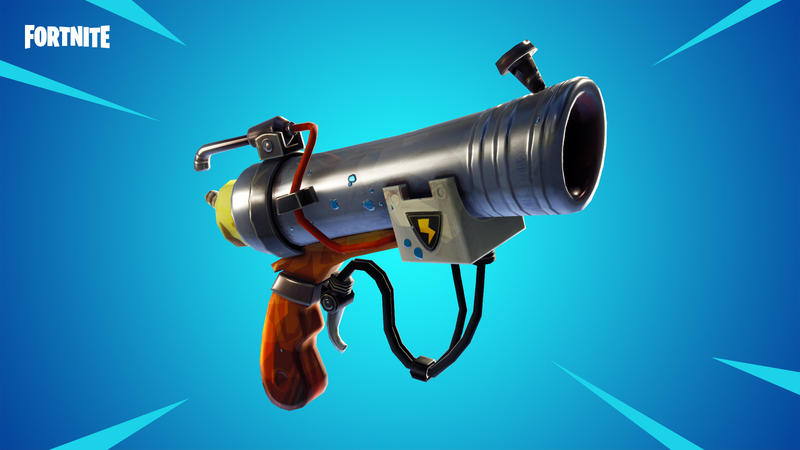 A firework show on the go, find the Freedom’s Herald Pistol in Save the World now. The stopping power of a rifle and the fire rate of an SMG. Find the new Drum Gun in-game now. What’s that smell? Give a Smasher a whiff of the Stink Bomb, available now in Save the World. Brighten a Husk’s day with the Freedom Herald Pistol. Celebrate summer with the Star and Stripes Heroes! Find them in the Event Store for a limited time. The Playground LTM will be turning off on Thursday, July 12th as we take it back under construction for the next version. 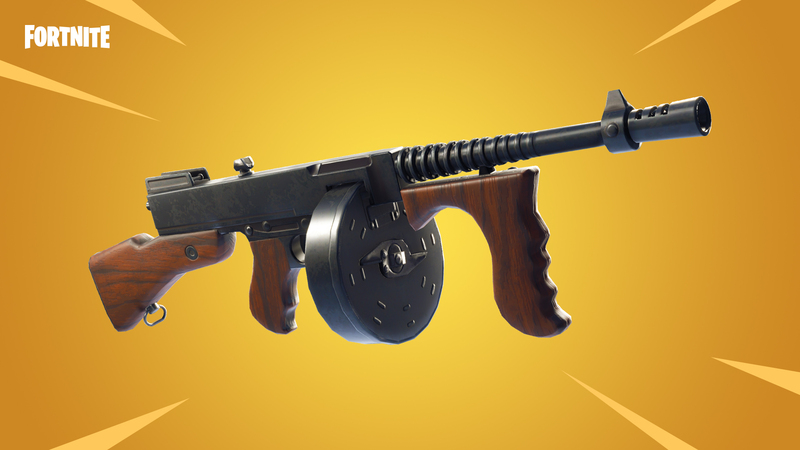 The Drum Gun is a hybrid weapon that combines the stopping power of a rifle with the suppressive ability and fire rate of an SMG. Available in Uncommon and Rare variants. Stars and Stripes Constructor has been added to the Event Store. Stars and Stripes Penny – Legendary Electro-Pulse. Available July 4, at 8pm ET. 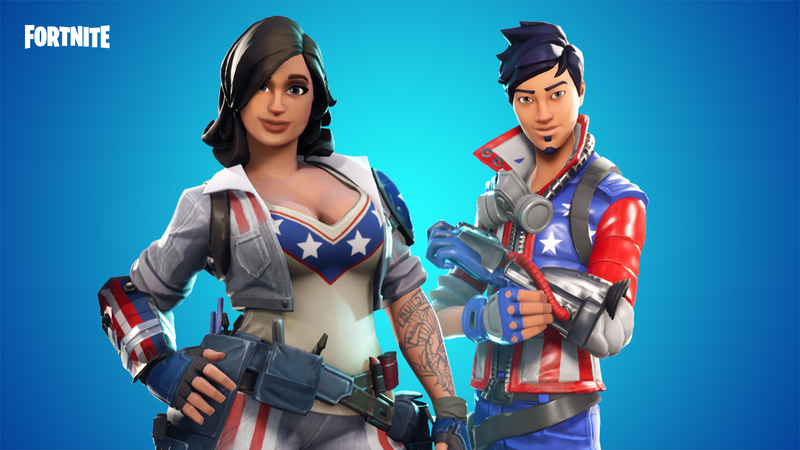 Stars and Stripes Outlander has been added to the Event Store. Stars and Stripes A.C. – Legendary Trailblaster. Available on July 4, at 8pm ET. Hurls a grenade that unleashes a cloud that damages enemies over time. Doesn’t persist outside of missions. Freedom’s Herald Pistol added to the Weekly Store. Launches firecrackers that bounce off walls, and will knockback and damage enemies in a small radius when they explode. The Lynx Assault Rifle has been added to the Weekly Store. A slow firing burst assault rifle with above average headshot damage and excellent stability.